Hantavirus infection is acute zoonosis clinically manifesting in two forms: Hemorrhagic Fever with Renal Syndrome (HFRS), caused by Old World hantaviruses, and Hantavirus pulmonary syndrome (HPS), caused by New World hantaviruses. Mild form of HFRS, Nephropaia epidemica (NE), is diagnosed in Tatarstan region of Russia, while HPS is endemic in Americas. Humans become infected by inhaling virus contaminated aerosol of urine and feces. The pathogenesis of NE and HPS remains largely unknown. Endothelial cells are identified as the main target; however no cell damage due to virus replication has been documented. There is no single factor identified to explain the complexity of the NE and HPS pathogenesis; therefore, it has been suggested that “cytokine storm” may play crucial role in disease presentation. In order to identify the serological markers distinguishing NE and HPS, team led by Dr Svetlana Khaiboullina (University of Nevada, Reno, USA) and Prof Albert Rizvanov (Kazan Federal University, Russia) initiated study of the cytokine profile of serum samples collected during early and late phases of HPS and NE. For that, a team of collaborators from Argentina, Japan, USA and Russia was established as part of Kazan Federal University Program of Competitive Growth (Project 5-100). This team included experts in HPS and NE diagnosis and clinical management, statistical analysis of OMICs, and experts in the disease pathogenesis. 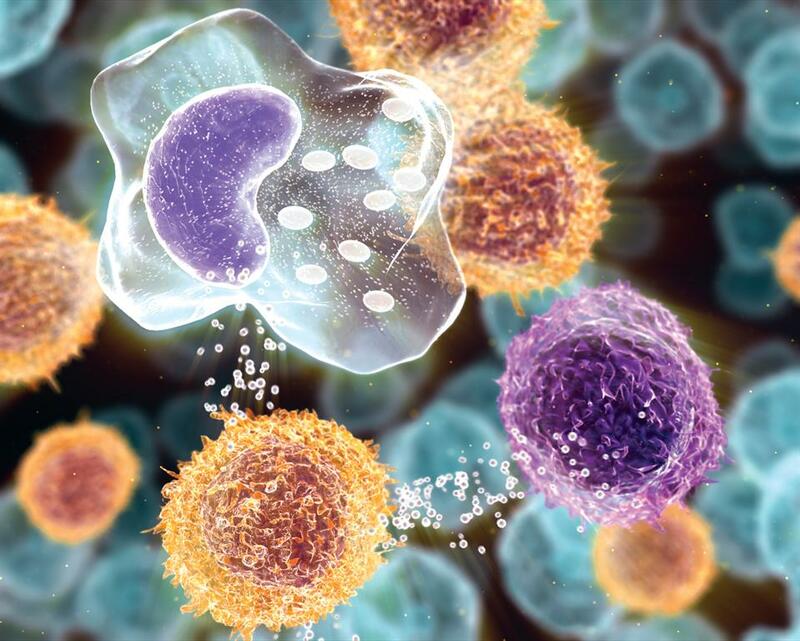 Serum levels of 48 cytokines were analyzed using Luminex multiplex magnetic bead-based antibody detection assay. Overall, HPS serum cytokine profile revealed more proinflammatory status in HPS cases as compared to NE. Furthermore, HPS was characterized by exclusively upregulated serum cytokine levels, with no cytokines being downregulated. On the contrary, NE cases were characterized by dichotomy in serum cytokine level. Additionally, we have found that severe form of hantavirus zoonosis, HPS, is characterized by higher number of cytokines upregulated (total of 40) as compared to NE, where only 21 cytokines were upregulated. Taken together, our analysis of serum cytokine profile in HPS and NE cases suggests that although HPS and NE share many characteristic features, there are distinct cytokine markers separating these diseases. These markers include: 1. severe inflammatory response in HPS cases, where interleukin 18 (IL18) may play the key role; 2. remarkable activation of Th1 type of immune response in HPS cases as compared to NE; 3. strong activation of innate immune response, especially NK cells in HPS cases as compared to NE. HPS and NE serum cytokine profile presents evidence to suggest degradation of extracellular matrix, increased mononuclear leukocyte proliferation and transendothelial migration. This study was supported by Russian Science Foundation grant 15-14-00016.